Our classic band is the most popular style band we offer! This particular style offers a 1/2 inch wide canvas that is perfect for most all designs. This style was made largely popular by the “Livestrong” wristbands which originally raised great awareness for supporting cancer. 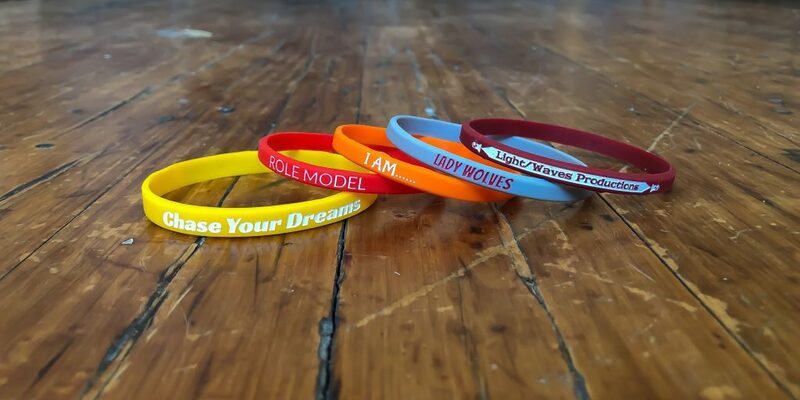 Now you can create your own custom wristbands in the same style for all purposes! The ultra-thin band is another popular option that many customers are fans of. This style only has a 1/4 inch thick canvas to work with, but it is still extremely capable of fitting your messages. 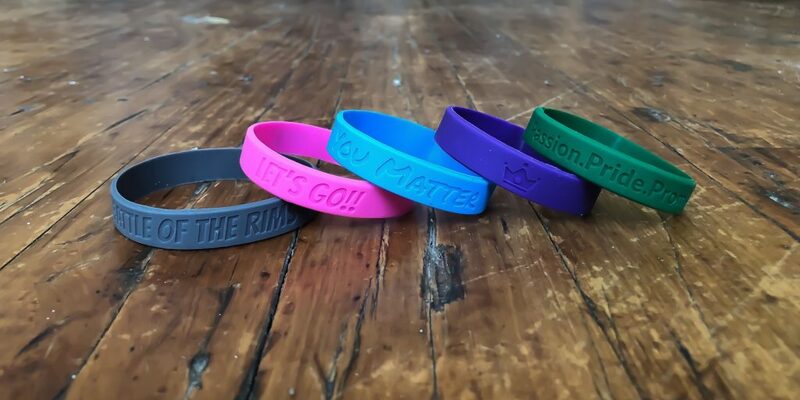 They are the cheapest band we offer, and they are extremely lightweight making them a perfect option for those who are looking to spend a little less and get great value out of their purchase. Next up is our wide wristbands. Featuring a 3/4 inch thick band size, this style is a great option for those with more intricate artwork or logos. 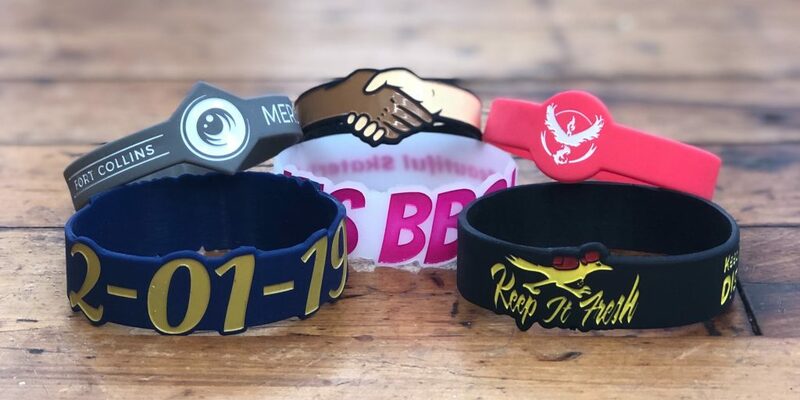 Our classic size is great, but this wristband provides a slightly larger canvas that can be the difference in making your logo look perfect. They are similar in price, so we love this option because it helps many customers get what they want out of their artwork. All artists appreciate a large canvas to work with, and the ultra-wide wristband is the perfect option for the creative minds out there. This style offers a 1-inch thick band that is capable of just about any design. Your artwork will truly make a statement with this option. Oooo… pretty. The die-cut band is a crowd favorite when it comes to design. 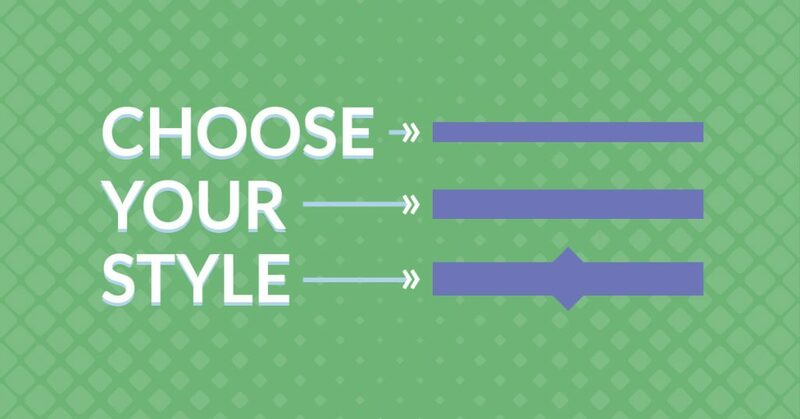 Choose any wristband size, aside from our ultra thin, and create something unique. 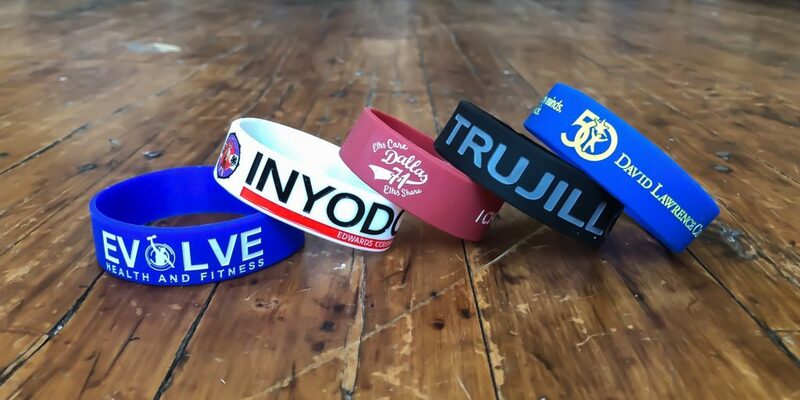 The die cut band is cut according to your design, artwork, or logo to truly make it stand out. The perfect option for those who are looking to blow their wristband recipient’s minds! Last, but certainly not least, we have our super rush wristbands. 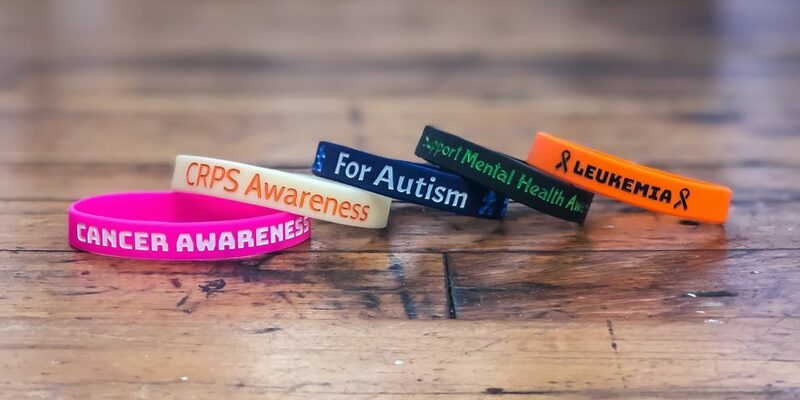 These wristbands are our quickest delivery option. Perfect for those looking to get an order at their doorstep in as quick as 72 hours! These bands are the same size as our classic style, but they offer a simple engraved design that is quick and easy to produce. They look great, and they have helped so many customers who need their order in a short timeframe. That’s that! 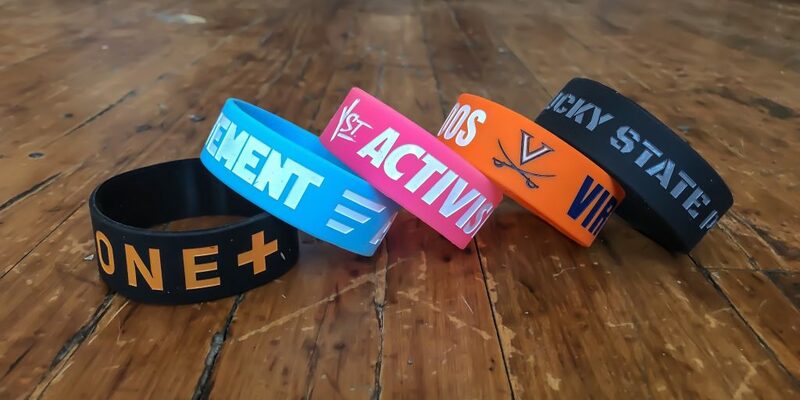 Now that you know all of our wristband styles, so I think it’s time to place an order. Feel free to contact our customer service department Monday through Friday from 10AM-7PM if you need any questions answered. At WristbandBros, we are dedicated to helping our customers get the most out of their orders to help them #ExpressWhatMatters. Be sure to follow us on Instagram, Facebook, or Twitter for daily content and staying up to date on all things WristbandBros!